If you love adrenaline, then this is an excursion for you! 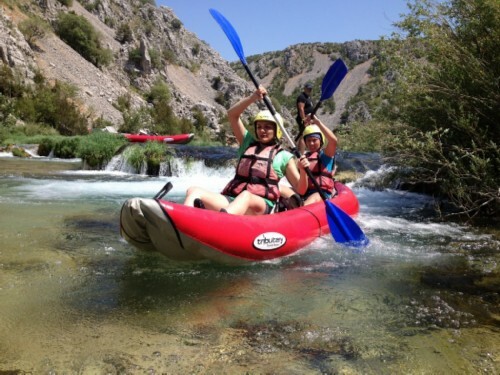 Depending on the time of the year and water level, you can explore one of the most beautiful and cleanest European rivers in rafting boats (in high water season) or kayaks (in low water season). The adventure begins in the village of Kaštel Žegarski with a mandatory stop at the place where Zrmanja's tributary, the small river Krupa, flows into it. 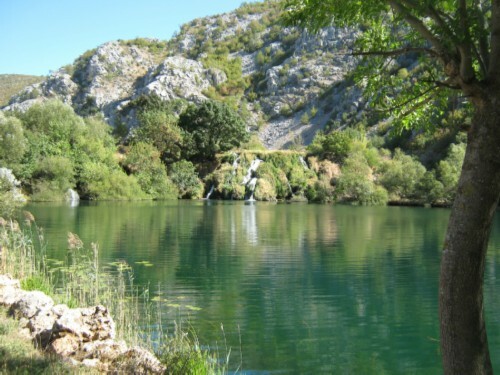 This will surely take your breath away (unless all the previous activity hasn't already) because Zrmanja is part of the Velebit National Park and the view is unbelievable – from the magnificent canyon over crystal clear, green water to the waterfalls and the natural "pools" below them. 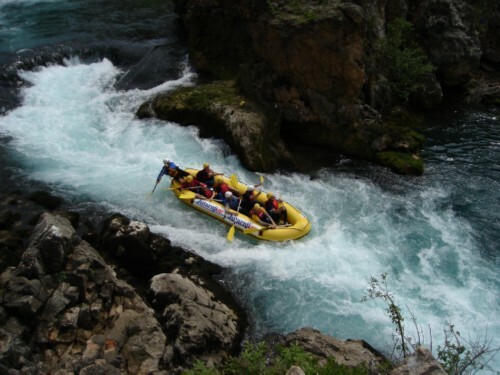 What do you need to know about rafting if you have never done it before? Absolutely nothing! 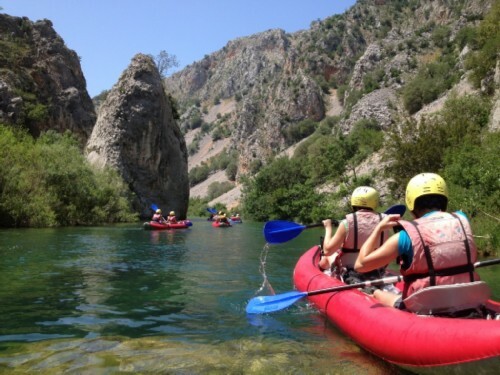 Rafting requires no previous experience, it is enough to know how to swim and children over 6 years in the company of parents are welcome too. So, put on a T-shirt, shorts or a swimsuit (you will get a protective vest), sandals or sneakers, take a waterproof camera – and a bottle to grab some water from the river. Yes, Zrmanja is so clean that you can drink from it!